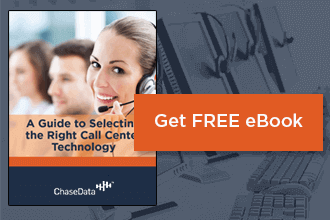 Call and contact centers are notorious for having high turnover rates. This typically comes from a high rate of dissatisfaction on the part of employees. But why is this – and what can be done to turn the tide on this trend? If you own or operate a call center, you may be wondering how to increase employee satisfaction. Here, we outline a few top strategies – many borrowed from today’s top companies – and how they can help you make the workplace a better place to be for your entire staff. There’s no way to create a positive and uplifting workplace environment for your employees if you don’t begin by giving them the respect they deserve. Regardless of position, experience, training, education, or any other factor, every employee on your company’s payroll deserves to be treated with equal dignity and respect. Keep this in mind every day and the rest of this list will fall into place naturally! These days, what benefits you have to offer can be a major selling point for considering the open position your company has over one that another company has to offer. Young working adults are always looking for benefits to help fill in the widening gap between the average wage and the cost of living. Invest in benefits packages that make working for your company worthwhile and you’ll see a boost in the quality of work your employees give you in return. Building trust between your employees and members of management is an important part of creating a positive work environment. It is also a necessary step in fostering the kind of workplace relationships that will translate into good working conditions for everyone – and the sense of support needed in times of stress and trouble. What happens when your employees feel stressed? Do they take it out on each other? Do they treat callers poorly because of how they are feeling? Do they internalize their concerns and worry silently? All of these are serious problems – and all avoidable if you’re providing them with good reason to trust you as a manager. When employees trust their management members, they feel able to openly discuss their struggles and concerns – and less stressed, overall. Compensation is always important to employees – and it means more than just what they’re taking home in their paychecks. While pay is what keeps the lights on at home and food on the table, there are other ways that employees can be compensated – and these ways can add value to their working experience. Are you giving your employees plenty of opportunities for recognition of their achievements? Studies have shown that praise and positive reinforcement have much higher odds of creating good outcomes in changing and improving employee behavior than negative reinforcement. Think about it – aren’t you more likely to work toward a reward than simply try to avoid being disciplined or reprimanded? There are many ways to reward and recognize your employees, each of which has its own benefits. You may be best served by a combination of things like monetary regards – extra pay or benefits – recognition rewards, and additional bonuses like vacation times or work-from-home opportunities. Just be sure that in every instance, you are either rewarding hard work or highlighting a person’s or team’s strengths and successes. Doing so will encourage those successes to continue. Employees at every level of your organization should be able to contribute to the overall operations of things. This doesn’t mean that every person should have access to and actively contribute to every part of things, but it certainly does mean that every person on the company payroll should be allowed to pitch in ideas when they are relevant both to them and to what is going on. If your janitorial staff thinks the problem of trash building up right outside the outdoor employee lounge is causing a dip in employee morale and have a solution that they believe may address it, listen to them. If your clerical staff notices a problem that they feel is contributing to low employee satisfaction ratings and believe they can contribute a helpful solution, hear them out. Don’t ignore lower-level employees simply because they aren’t management members. Give everyone a voice and you’ll notice that the wide variance of contributions makes for some great solutions. Of course, no list of how to increase employee satisfaction in the workplace would be complete without describing a workplace that is fun to be a part of. Everyone aspires to work for a company that they genuinely enjoy working for – and in a location where they love coming to work. Making your contact center one of these places is just part of how you create a work environment that will foster great results from every person on your company’s payroll. Look for ways to introduce fun into everyday operations. Schedule more special occasion celebrations. Be as lax as possible with the dress code or incorporate fun, themed, “dress-up” days to bring out the kid in everyone on your staff. Allow employees to decorate or personalize their space or materials. There are so many fun, free or inexpensive ways to make your contact center a fun place to be – and an even better place to work. All of them can contribute to a better work environment and better productivity rates overall. Still looking for strategies that outline how to increase employee satisfaction for your specific size and style of facility? Talk to the experts at ChaseData for more information. We can help you find the tools and develop the techniques to create a positive environment for your entire staff – and see the benefits to your business that result.